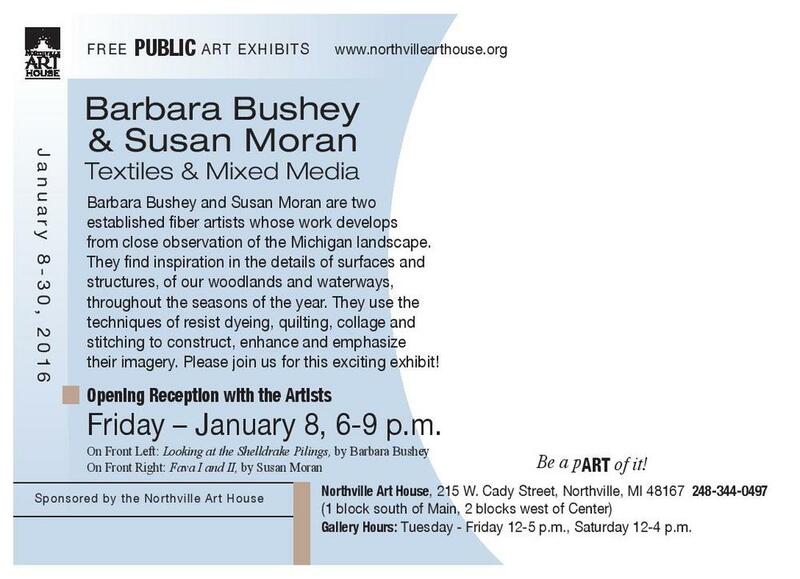 Barbara Bushey and Susan Moran, 2-person show at the Northville Art House, Northville MI. January 8-30 2016. 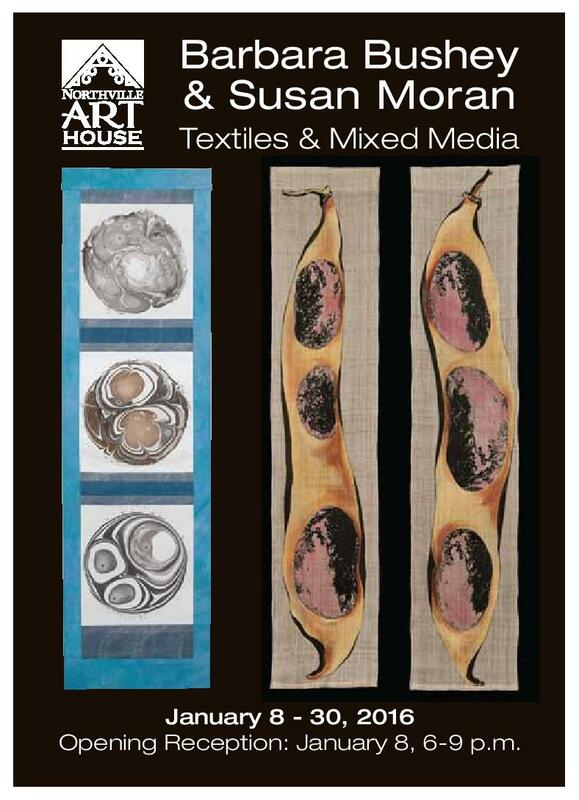 Opening reception Jan. 8, 6-8 p.m.